Peter appeared at “Allsång på Skansen” on 26 June 2018. He performed two songs – “Stockholm i Natt” and his new single “The Mask”. Clips of the songs can be seen on SVT’s web site until 13 September 2018. 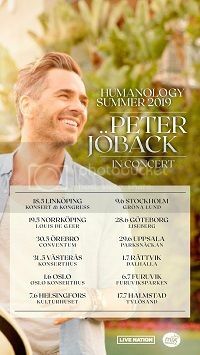 Peter also appeared during the annual concert to celebrate Princess Victoria’s birthday on 14 July 2018. He performed “The Mask”, “Juni, Juli, Augusti” and “Come What May” (with Emmi Christensen, Peter’s co-star from the Stockholm production of “Phantom of the Opera”). Unfortunately, this concert is about to be removed from SVT’s web site. 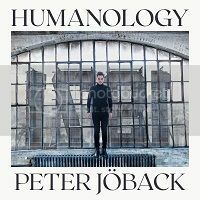 Peter has released a trailer for his new show starting on 20 September 2018 at Cirkus in Stockholm. Peter has also announced the ensemble for his new show. Jens Hultén is a well known Swedish actor who has appeared in such international films as “Skyfall” and “Mission Impossible: Rogue Nation”. He worked with Peter in the Swedish production of “Cabaret”. Elin König Andersson is an acrobat who has performed around Europe and the United States. Gunilla Backman is one of Sweden’s major musical stars, starring in such shows as “Mamma Mia (svensk version)”, “Miss Saigon” and “Les Misérables”. Peter sang a duet with Gunilla on her 2006 album “Nära mig”. Marianne Mörck has worked with Peter before, namely in “Kristina från Duvemåla”. Marianne is primarily an opera singer and is well known to Swedish audiences. She also had a recurring role in the Swedish TV series of “Wallander”. Frida Öhrn is known as the lead singer of Oh Laura who had an international hit with the song “Release Me” in 2007. She is currently a member of the group Cookies ‘n’ Beans as well as launching a solo career known simply as Öhrn. Peter has often worked with Cookies ‘n’ Beans over the last few years. Karl Noremo (not present but a photo is in the frame being held by Frida) is a dancer and singer who trained at the American Musical Theater Academy in London. He has appeared in shows like “Sweet Charity” and “Billy Elliott”.